Interested in Furthering your Studies? 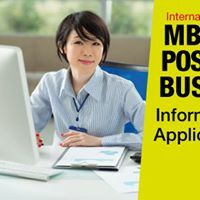 Want to know more about MBA and Business Programs available? Looking for Scholarships or Study Abroad Opportunities? Attend the AUG Melbourne MBA and Postgraduate Business Information and Application Day to meet with local and interstate institution representatives and explore your options!